This generator produces 3 channels of random voltages, each of them clocked by the individual outputs of the tsection, or by a common external clock signal. 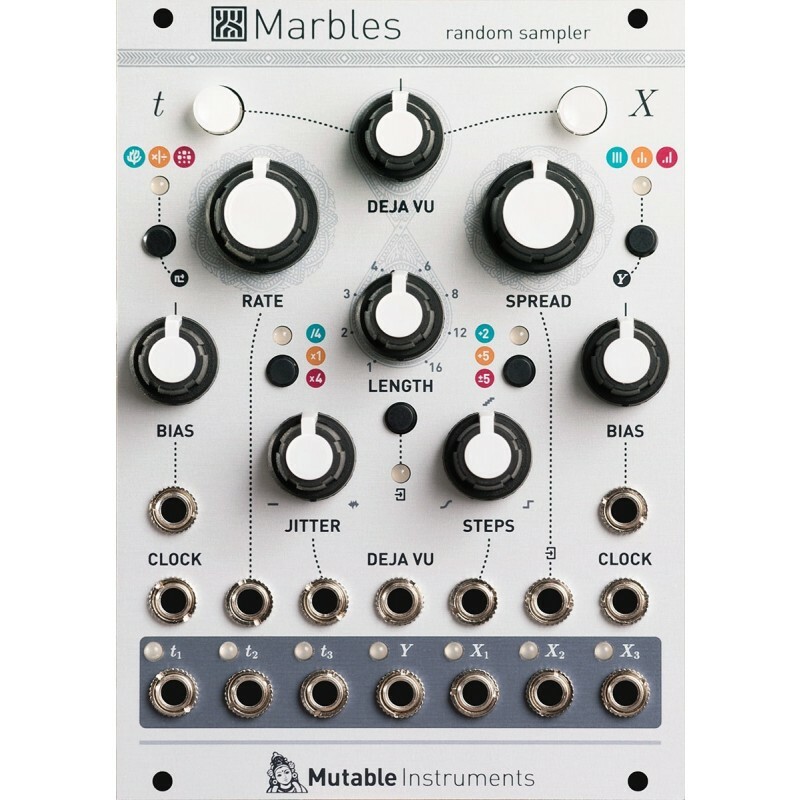 Marbles remembers the history of every recent clock deviation, rhythm or voltage it has generated. 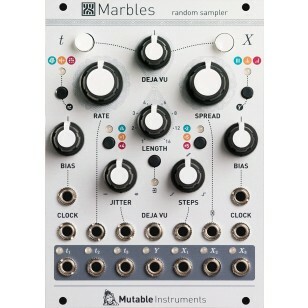 The DEJA VUknob on the panel controls the probability of reusing past material instead of sampling fresh random data. An external CV can be recorded in the DEJA VUloop in place of internal random voltages.